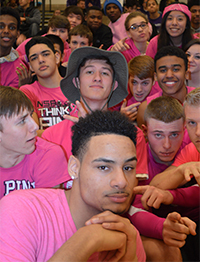 Wyoming High School seniors Darren Dannah and Mitch Hendrickson know how to work a crowd. During every Wyoming Wolves girls’ and boys’ varsity basketball home games they lead a lively group of their “peer a cheer” section where they dance, chant, and board the now famous “Roller Coaster” ride. “Buckle up!” they shout as the Wolf Pack of about 100 students pretends to secure shoulder harnesses, making a loud “whoosh” sound. They then move in sync, arms up, as if they are on a wild roller coaster ride filled with dramatic twists and turns. Darren, a football player, and Mitch, a bowler, have begun what they hope continues as a tradition at Wyoming High School. Students join forces to cheer, revving up the teams and crowd, and bringing a heightened sense of unity into the school day. “We’re getting our players hyped, getting energized and it shows on the court,” Darren said. “Everybody can show up; nobody’s left out,” Mitch said. 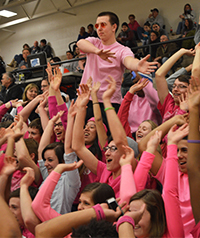 The effort is totally student-led, with word on the night’s theme for each game traveling through the student body. 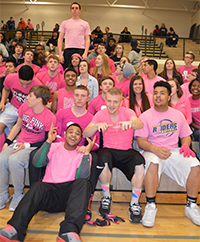 The Wolf Pack has become a sea of pink, purple, white and neon. They’ve been pajama-clad teenagers and Hawaiian tourists in colorful shirts and leis. 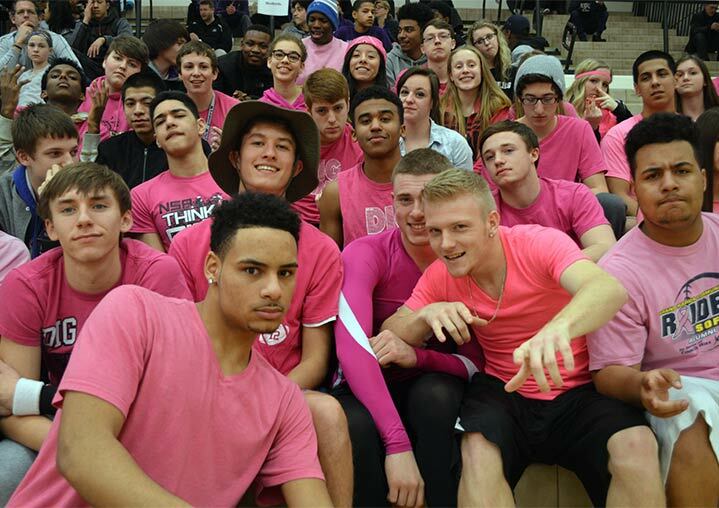 The students received recognition from Mlive as one of the Top 10 best student sections in the state. Darren and Mitch spoke excitedly, often in unison, to describe the fun. They said the Wolf Pack has created a bond among students, giving them something positive to do together. It is their way to give back. “It’s a legacy. That’s exactly what it is,” Darren said. During the recent girls’ district game against West Ottawa, the high school students cheered the team on, with elementary and middle school students joining them in chants and dances. Wolf Pack pride has spread throughout the district. 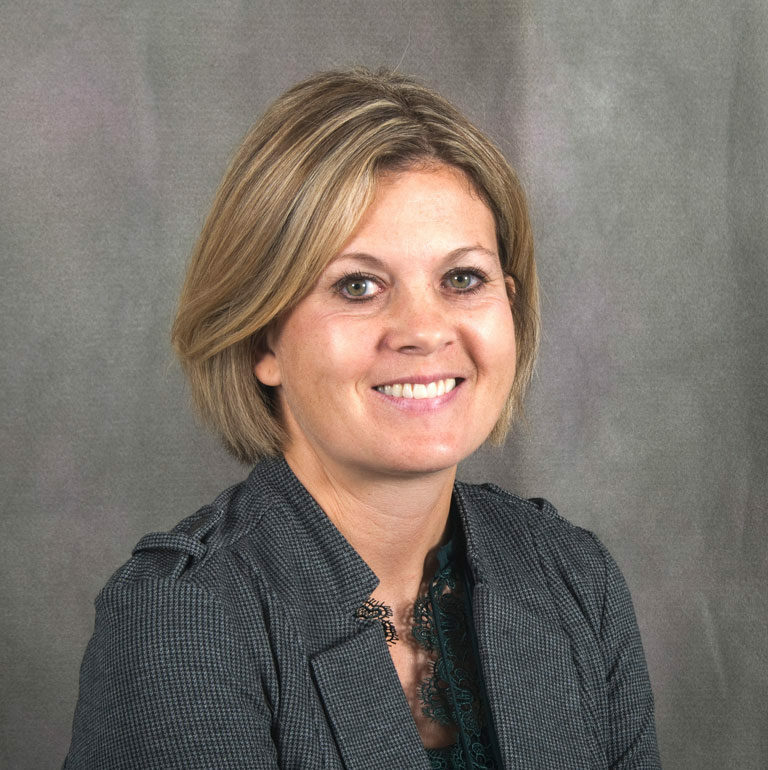 “It’s well-known throughout the entire school that not only are these kids talented, they are nice,” said Wyoming Athletic Director Ted Hollern. The Class of 2015 has shown great leadership, he said, showing spirit without being negative about the opposing team.